Aron Ain is the chief executive officer of Kronos and author of WorkInspired: How to Build an Organization Where Everyone Loves to Work. His book chronicles the Kronos employee engagement journey and imparts lessons Ain has learned for senior leaders, HR professionals, and people managers to turn employee engagement into a strategic weapon. 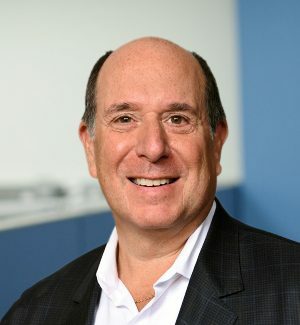 Ain joined Kronos in 1979 and has played a role in nearly every functional department at the company, helping to build what is today a $1.3 billion global enterprise software powerhouse. Under Ain’s leadership, Kronos has achieved tremendous global growth, with operations and market leadership throughout Europe, the Middle East, Africa, Asia Pacific, and Latin America. What Kronos was like when Aron started there in 1979. How Aron was influenced as a manager and what they did to help him become a better manager and leader. Core values of Aron’s that have driven his leadership. What having an engaged workforce means and how that plays out day-to-day throughout Kronos. What Aron and his team did to create a more engaged culture. What “My Time” is and how it was implemented at Kronos. How a Manager Effectiveness Index is applied at Kronos. How Kronos handles lower performing, less engaged employee. How to expand a happy and engaged work culture as you grow globally. The relationship between happy employees and business success. What Aron sees as missing or lacking in workplaces today in terms of management and leadership and creating a place people really love to work. A management/leadership mistake Aron’s made that he’s learned the most from.